Tools & machinery business in India: Industrial machinery and machine tools are highly related sectors. 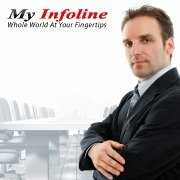 Myinfoline business directory contains the names of thousands of tools & machinery companies in India like textiles and leather dealers, suppliers, distributors & manufacturers in India along with their complete business profile and offered products & services. The sub categories of industrial machinery includes farm, packaging, construction, mining, oil and gas field, textile, paper, printing, and food products machinery, as well as refrigeration and heating equipment. Machine tools include metal-working machine tools, wood-working machine tools, and machine tools for working other hard materials, including minerals, ceramics, concrete, glass, hard rubber and hard plastic. Find phone numbers of leathers & leather products office showrooms & shops in India, addresses of textile accessories showrooms & shops in India, map of textile products office Showrooms & shops, in India, email id of content management system companies in India, my offers textiles materials companies in India, see ratings & reviews of textile chemicals companies in India. For best search of textile machinery companies in India. Find best textile services companies in India. Submit your enquiries and get best price quotes and deals from Tools & machinery business instantly!